Could strong fundraising be Chris Christie's road to redemption? If the Bridgegate scandal irreparably shattered Chris Christie's standing on the national political stage, someone forgot to tell the people who write the checks. During the first three months of 2014, the Christie-chaired Republican Governors Association raised $23.5 million -- a record sum for the first quarter of a midterm election year and almost double what the Democratic Governors Association raised during the same period. Christie's leadership isn't the only factor that has led to the RGA's financial success, but there is ample evidence that the New Jersey governor's star power on the Republican money circuit has rarely been more apparent. And as he continues to prepare for a potential 2016 presidential bid, that indispensability on the GOP fundraising circuit may be key to his political revitalization. After spending most of April in his home state, Christie is set to embark on a slew of springtime fundraisers for Republican gubernatorial candidates from coast to coast. Among the most eye-catching events on his calendar are four on behalf of Iowa Gov. Terry Branstad and South Carolina Gov. Nikki Haley, both of whom just so happen to hail from early-voting presidential primary states. Not only will Christie travel to Iowa and South Carolina on behalf of the two leaders, both of whom are up for re-election this year, but he will also host separate fundraisers in New Jersey for each of them, RealClearPolitics has learned. In the meantime, his travel schedule will be jampacked. On Wednesday, Christie was slated to be in central Florida for appearances in Largo and Lakeland on behalf of Republican Gov. Rick Scott, but that trip was cancelled at the last minute due to flash flooding in the state with reports of at least one fatality. "Governor Christie spoke with Governor Scott early this morning to offer his condolences and to provide any support Florida may need as they work to recover from historic flooding," Christie spokesperson Maria Comella said on Wednesday. Next week, Christie will head north to Maine for a Portland fundraiser for Gov. Paul LePage's re-election bid. After a few weeks back home to deal with the Garden State's budget debate, Christie is scheduled to raise money for New Mexico Gov. Susana Martinez and Tennessee Gov. Bill Haslam in back-to-back events in their states on May 29-30, respectively. After that, it's off to Pennsylvania where he will keynote a June 9 reception in Philadelphia on behalf of vulnerable Republican Gov. Tom Corbett. According to Christie's political team, the invitations are piling up faster than they can be answered. "Governor Christie continues to be a major draw nationwide," said Mike DuHaime, his chief political consultant. "We field a number of requests every single week for the governor to come and campaign on behalf of or raise money for candidates -- everything from governor to U.S. Senate to Congress, county parties and local races." Ever since the scandal surrounding traffic-lane closures on the George Washington Bridge erupted into public view in January, many pundits have been counting Christie out of the national political conversation. And as he continues to face ongoing investigations by the U.S. attorney's office and the New Jersey legislature into the circumstances surrounding Bridgegate, the episode remains a headache at best and political kryptonite at worst for the once high-flying 2016 GOP frontrunner. Though his approval rating in New Jersey appears to have stabilized, there is no doubt that Christie's image among the public at large has taken a significant hit. But with Republicans having to defend 22 of the 36 governors' seats up this year, he remains a vital force for fellow party members running in marquee gubernatorial races -- and in the eyes of many GOP donors. "I think there is a lot of conventional wisdom that he's been written off for dead, but that is misplaced," said Andy Busser, a private equity investor in New York who bundled financial contributions for Mitt Romney's 2012 presidential campaign. "There's a large number of people who just love this guy. He's a huge draw, he raises a lot of money, and that combined with the lack of star power elsewhere, in my view, leaves him in a pretty good position." Many establishment Republican figures may have shifted their gaze to Jeb Bush, but there is general agreement among confidants of the former Florida governor that a 2016 presidential run is far from a foregone conclusion. Chris Christie says bridge scandal prompted "soul-searching"
Christie, on the other hand, appears as eager as ever to seek the presidency. After a period in which he made pains to demonstrate contrition over Bridgegate, memorably noting that the episode had made him "very sad," the two-term governor has reverted to his characteristically self-assured demeanor in public and private appearances. He continues to deny that he had any knowledge of the lane closures at the time that they were implemented, and members of Christie's inner circle say they are convinced he will be vindicated. Though the potential revelation of an incriminating email could herald a quick collapse of his standing, with the passage of time more GOP powerbrokers are concluding that he can recover. "People at the end of the day want to get something done, and they will give you a second chance if they're convinced you're the person to do that," said Republican National Committeeman Henry Barbour. "Anybody who believes Chris Christie is finished, they could easily be proven wrong. I really believe that. 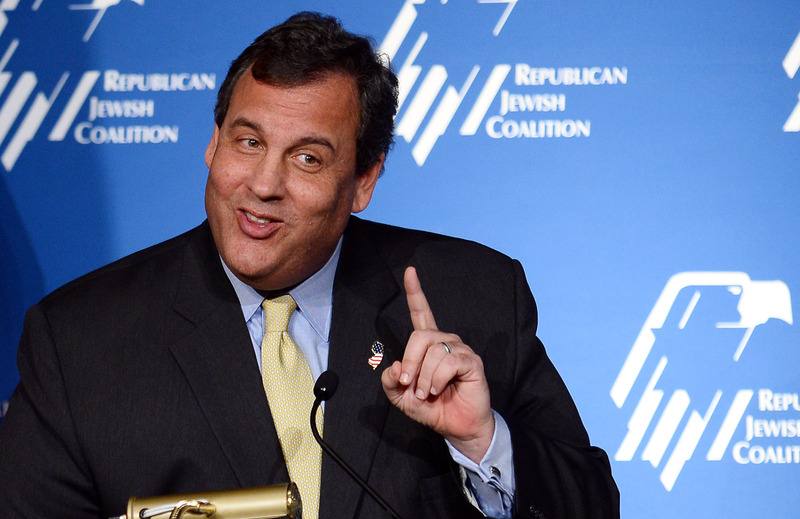 I think Christie is one of the most talented politicians in the party." There is no doubt that he was in a stronger position four months ago than he is now. But modern American history is replete with examples -- from Richard Nixon to Bill Clinton -- of politicians whose national hopes were widely regarded as dashed before they ascended to the White House. While the obstacles to Christie's revitalization remain high, his underlying strengths as a potential White House contender remain obvious to many influential Republicans, who believe those who count him out are misguided. "He doesn't need a whole lot of rehabilitating down here," said Ed McMullen, who leads a South Carolina-based public policy group and is well-connected among GOP donors in the first-in-the-South primary state. "He's admired, he's liked, and he's a leader."